November 25, 1942: The Soviet operation against the Rzhev Salient (codenamed Mars) begins. The Soviet 22nd Army, including the 3rd Mech Corps, was tasked with breaking through the isolated Luchessa River valley. This order resulted in a head-on collision with the Grosdeutschland Division sent to back up the beleaguered German infantry. 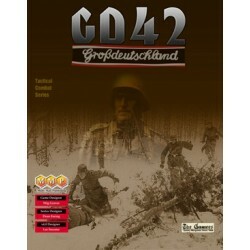 GD'42 is the 15th game in the Tactical Combat Series. 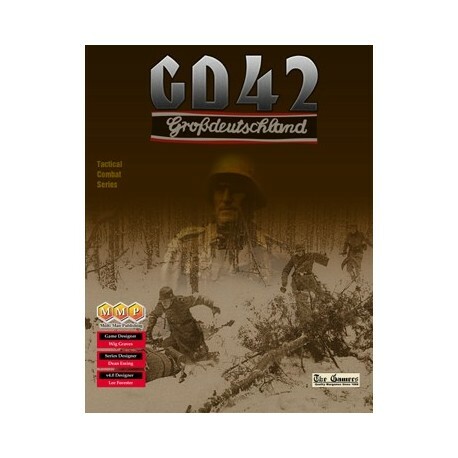 GD'42 covers the desperate battle for survival of the GD Division as it faced down the entire Soviet 3rd Mech Corps (with over 200 tanks) over several days. Designer Wig Graves conducted extensive research, combing both German and Soviet sources to create the order of battle. The Soviets begin with seemingly overwhelming force, while the Germans trade space for time and attempt to rush reinforcements to the front to plug inevitable gaps. 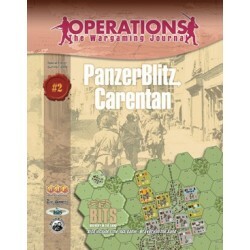 While the Germans are primarily on the defense, careful counter-attacks against the relatively immobile Soviet formations can prove to be key to victory. And if the Soviets do not preserve their forces carefully, they will end with the historical result: stable German lines and an entire mechanized corps wrecked.